Do you like scary movies? Well, be sure to stand out from the rest of them with one of our horror t shirts! With plenty of creepy and unnerving designs lurking around every corner, you’re sure to be delighted (and terrified) by our range of tees. 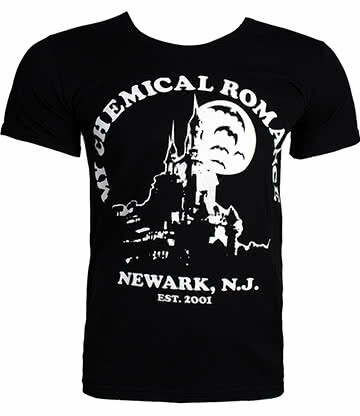 Who says that Halloween t shirts are solely for October? Show your love for all things freaky with a slick and stylish Blue Banana tee which can help you pay homage to all things morbid and macabre. 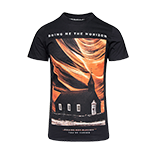 Horror film t shirts are a great alternative fashion statement, and we simply love clothing that dares to be different. Shock and surprise with a tees designed with all kinds of monstrous prints. The styles range all the way from iconic films to some top binge worthy shows. No matter what your opinion on the horror genre, we’re sure that we’ve got some cheap horror t shirts to float anyone’s paper boat. Take a look through our range and make sure to not stray too far off the path! Spook and scare wherever you go with a killer piece of horror movie merchandise. Branch out from the mainstream styles with a frightening look that’s sure to stand out. Get a top that really shows just how much of a horror aficionado you really are! One of the first things you look for in a horror tee is a vile villain or classic monster of old. If you can’t get enough of being freaked out by Pennywise, Jason Voorhees or even Freddy Krueger then you simply have to get the tee to match. A scary demon or grim reaper skull design is sure to send shivers up anyone’s spine. We have plenty of Halloween t shirt designs for all kinds of tastes and tipples. Zombie T Shirt – everything undead certainly makes for perfect designs in any scary tee. We’re sure that our zombie tees will appeal to everyone from Walking Dead fans to those who are still obsessed with classics like Night of the Living Dead. Skeleton T Shirt – the bones of any good outfit starts with a solid t shirt. There are plenty of skeletal and skull designs on all kinds of horror clothing tucked away in our online store. As well as fun and funky designs, you’re sure to find plenty of impressive designs suited to scaring! 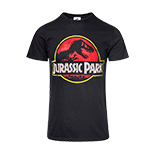 Monster T Shirt – creatures from the deep and beings from below are certain to help create all kinds of intimidating designs. If you have a more specific style in mind, then it’ll be easy to narrow down to the new monstrous tee of your dreams (or nightmares!). Want to keep it classic and retro? Who doesn’t love sitting down with a vintage B-movie and a box of popcorn? If you’re more of a vintage horror film buff than a love of the modern slashers then fear not- then are both retro and vintage horror t shirts that you are sure to fall in love with! Hit up your love for 80s horror or trail all the way back to the glory days of Hammer horror flicks with our styles similar to the classic b movie t shirts. There’s always room for funny horror t shirts in our selection. Some of these menacing tees and vests feature everything from freaky fairytales to twisted incarnations of childhood favourites. If you’re not squeamish when it comes to blood and gory designs, then some of these bloody designs are sure to bring on an evil grin or an onlooker’s grimace. Funny graphic tees are certainly a fashion statement worth making! We don’t want to play games with you, when it comes to our range of t shirts we’re always looking to help you get the best deal and to enjoy all of the discount savings possible! We think its child’s play to discover your brand new alternative tee. 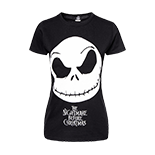 With skinny styles and regular fit for both men and women, horror tees merchandise is sure to be an easy find when you shop with Blue Banana. Another important factor is certainly a spooky design which can be found in plenty of the weird t shirts hidden on our site. Across many of our brands and bands you can find plenty of petrifying prints and dastardly designs. Blood curdling screams will ensue wherever you take your brand new scary top. 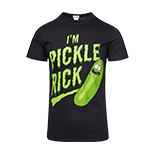 Let’s not forget some of our terrifying band merch. Heavy metal and rock bands often indulge in some pretty creepy designs, so we would be amiss not include them in our horrifying range of tees. Combine your love of heavy music with your passions for spookiness with tees that are sure to stand out from the crowd (or in the mosh pit!). 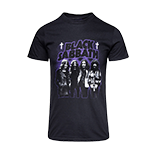 A black t shirt is always a popular choice so rock on and head straight to our section dedicated to Official Band T Shirts. If you like to style it up with the dark and the mysterious then we are sure to have plenty of Gothic and Occult inspired designs which are sure to appeal to all kinds of tastes. With designs like tarot and pentagram styles you’re sure to have a great time gothing it up. Head straight to big brands like Killstar and Spiral Direct for seriously stylish alternative designs that would be right at home in any wardrobe. 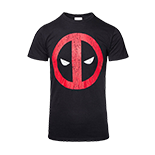 With cheap and fast shipping alongside regular t shirt sales, you’re sure to be able to get your hands on a brand new alternative t shirt. A tee from us is sure to get you noticed wherever you go, so why not expand your style tastes with an alternative top courtesy of us at Blue Banana.